When it comes to time management, Calvin, the 6-year old trouble-maker and philosopher in the comic strip Calvin and Hobbes, said it best: "There's never enough time to do all the nothing you want!" 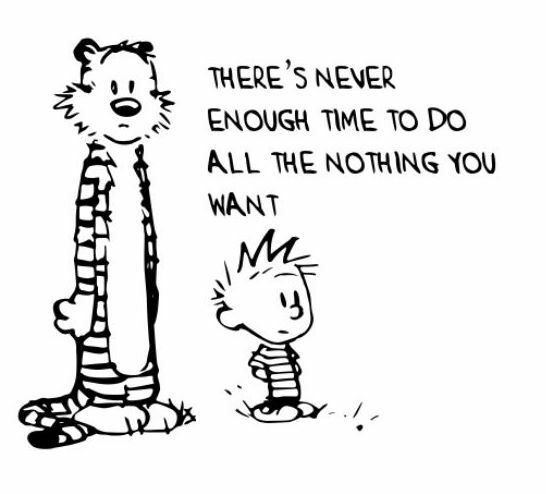 That might often seem true, but I suggest the following change to Calvin's complaint to his tiger friend: There's never enough time to do all the something you want! You see, it works both ways. When it comes to accomplishing the goals you have for your business, time can work for you or against you. It's one huge prioritization challenge. Of all the things demanding your attention, how do you decide what to do first? How can you start making time work FOR your business? Everyone has more than enough things that are urgent, deadline driven, and relatively short-term in focus. We certainly can't afford to ignore these or we soon wouldn't have any customers! But what about the things that are critical for long term success? Here's a simple priority matrix to help you quickly classify activities and projects and identify those that really should be top-priority. Take a look at the last few weeks of your calendar and determine the quadrant where you are spending most of your time — this exercise will be enlightening, I assure you! To get the most impact and put time to work for you, make it your goal to spend 80% of your time on the Important (quadrants 1 & 2), and 20% on the Not Important (quadrants 3 & 4).